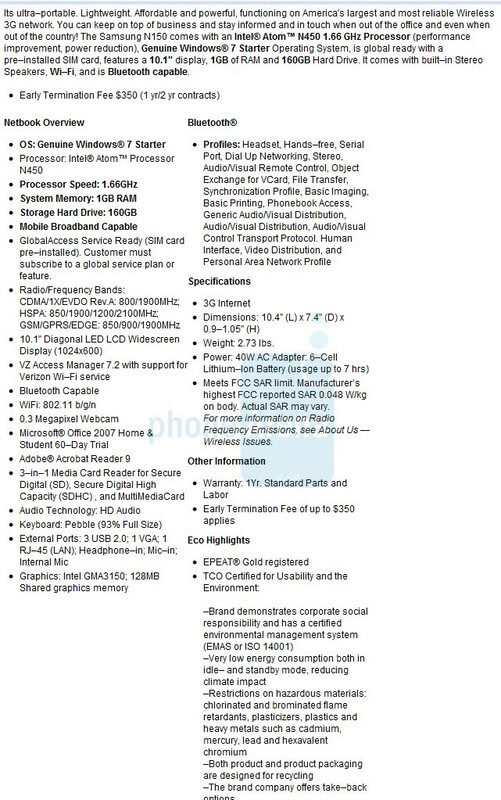 Verizon planing to launch two new Netbooks? It appears that Verizon has joined the Netbook bandwagon as two more units are expected out in the coming weeks. 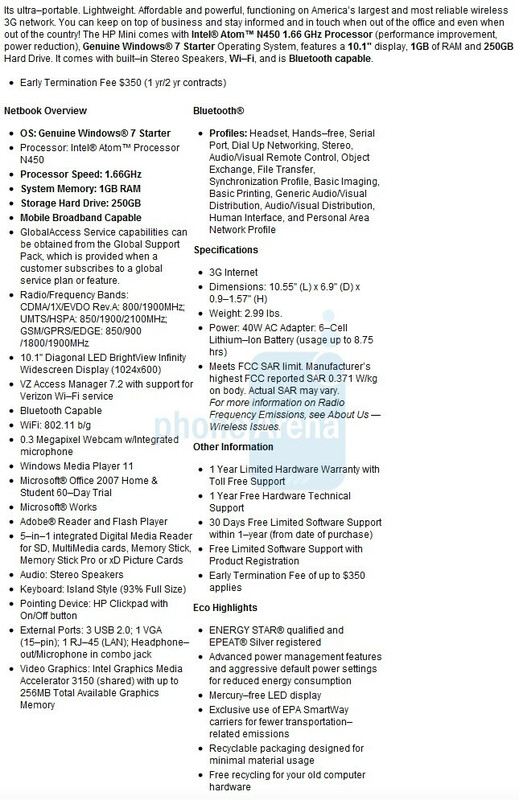 The HP Mini 210-1076NR will be a step-down from the current HP Mini 311-1037NR as it will come bundled with Windows 7 Starter Edition (instead of Home Premium Edition) but ill feature an Intel Atom N450 1.66GHz processor, 1GB RAM, 250GB hard drive, 10.1" LED backlit display with 1024x600 resolution, 0.3MP webcam, Bluetooth, Wi-Fi 802.11b/g, and a 5-in-1 media card port. The entry level Samsung N150 Netbook has most of the same features and will also come with Windows 7 Starter Edition, an Intel Atom N450 1.66GHz processor, 1GB RAM, and a 10.1 LED backlit display with 1024x600 resolution, but the N150 Netbook will only have a 160GB hard drive. 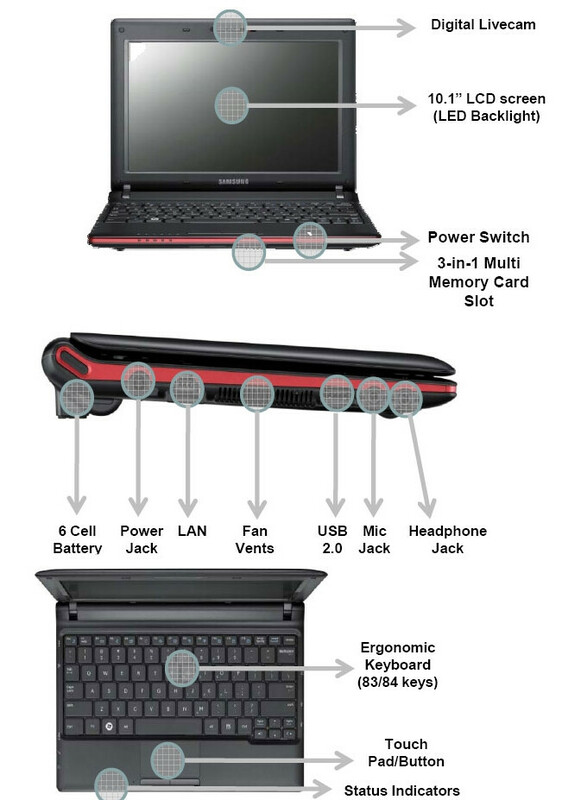 Both Netbooks will support Verizon's CDMA/EVDO Rev A network in the US, and global roaming with UMTS/HSPA and GSM/GPRS/EDGE networks with the included SIM card. The HP Mini 210-1076NR is expected to sell for $199.99 and the Samsung N150 for $99.99, both after a $100 rebate with 2-year mobile broadband agreement. Thanks to a friend for the info! Yeah I second that, Verizon may be behing on iPhones ad Tablets, but we have never been behing on making sure our customers have the leading in technology for EVERY use. agreed. only homosexuals need a product like that... i am straight, why would I need an Ipad? It's like 5 di..s in one bag. That is literally how gay it is. #1 - write English - "planing"? #2 - comment on the technology, please, and drop the other trash Not a huge Apple fan, but I do prefer civilized discussion.